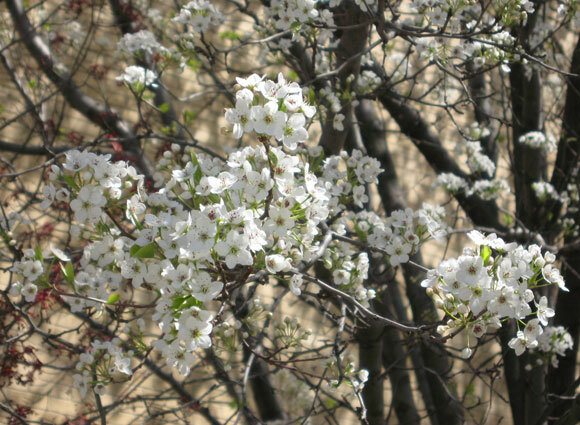 The beautiful KU campus is home to many trees, shrubs, and flowers that originated in East Asia. Below you will find links to a list of these plants, where they are located, and fascinating information about East Asian plants in history, visual art, and literature. List of plants of East Asian origin found on the KU campus. Horticultural information is available by clicking on the name of each plant. We also provide approximate bloom periods and tips on how to find each plant on campus. Many East Asian plants found on the KU campus have a rich history in the art and literature from where they originated. This page provides brief overviews of a plant's relevance in art and links to view artwork from collections from all over the world.